- Kelly Burke, President of Ampere Ltd., a GTECA contractor company. “My apprenticeship has been a very rich and rewarding experience,” says Christie, a 5th term apprentice with the International Brotherhood of Electrical Workers (IBEW) Local 353. 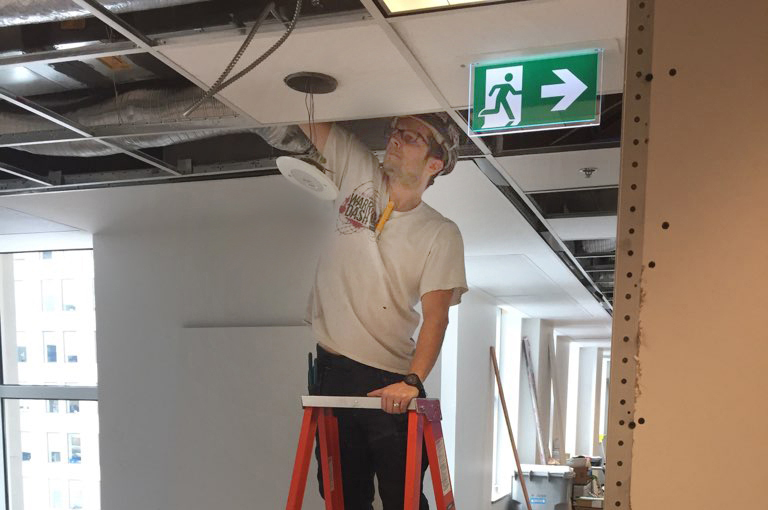 That’s why the contractors in the Greater Toronto Electrical Contractors Association (GTECA) have invested so much in the Toronto Joint Apprenticeship Council (JAC). 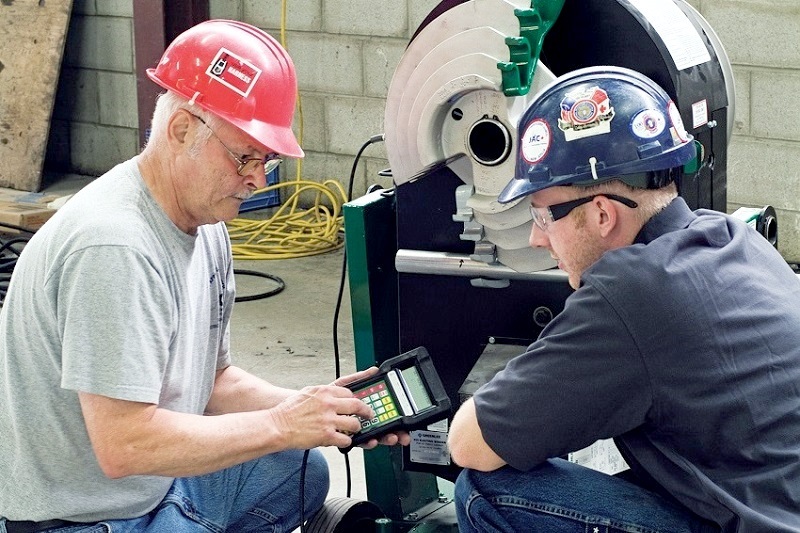 The program, operated by GTECA and the electricians of the International Brotherhood of Electrical Workers (IBEW) Local 353, ensures each apprentice receives the most complete education available anywhere. IBEW Local 353 has four dedicated training facilities in Toronto, Mississauga, Barrie and Oshawa. These buildings contain classrooms, shops, and computer labs for apprentices and also licensed members who want to upgrade their skills. The skills taught include programmable logic controllers (PLC), computer operations, network cabling, and green technologies. One of the four IBEW Local 353 training halls in the GTA. Erik Hueglin, Director of Apprenticeship for the Toronto Joint Apprenticeship Council (JAC), oversees the program that trains apprentices. The apprenticeship begins with an 1,800 hour pre-apprenticeship program, including two weeks of safety and orientation training before the apprentice sets foot on a work site. This goes above and beyond the 9,000 hours (about four years) that all electrical apprentices in Ontario must complete. In 2018, 366 new pre-apprentices and apprentices were enrolled in the program. The JAC process also keeps the apprentice accountable, on track, and adapts to changing circumstances. For unscrupulous businesses, apprentices represent a source of cheap disposable labour. Businesses like these don’t invest in the apprentice’s training, nor do they care if they make it through their four year apprenticeship to become certified journeyperson electricians. According to a study by the Ontario Construction Secretariat, non-union completion ratios across all trades are about 75%, but are 30% higher for apprentices who sign with a union. The JAC facilitates apprenticeship training until the electrician earns their certificate of qualification. Once licensed, the IBEW LU 353 training program ensures member electricians are able to keep pace and learn new skills as the industry changes. It’s a great example of businesses working with a union to meet the needs of the market, so that everyone succeeds.